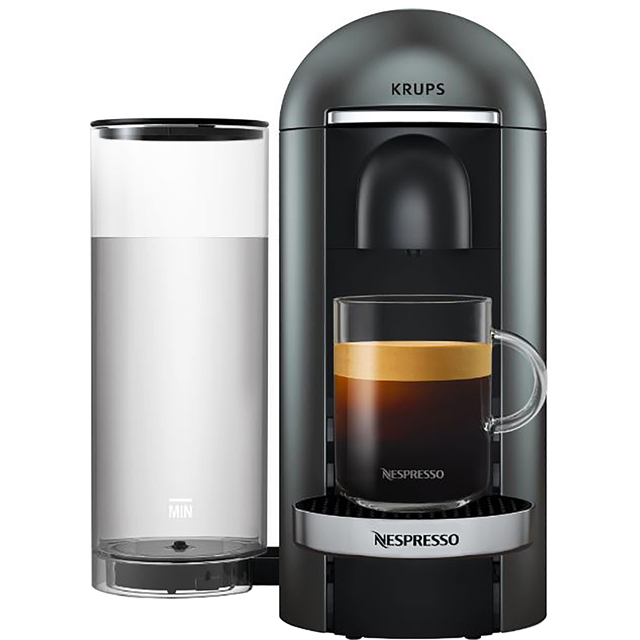 Be your own barista with this black Nespresso® Vertuo machine by Krups. 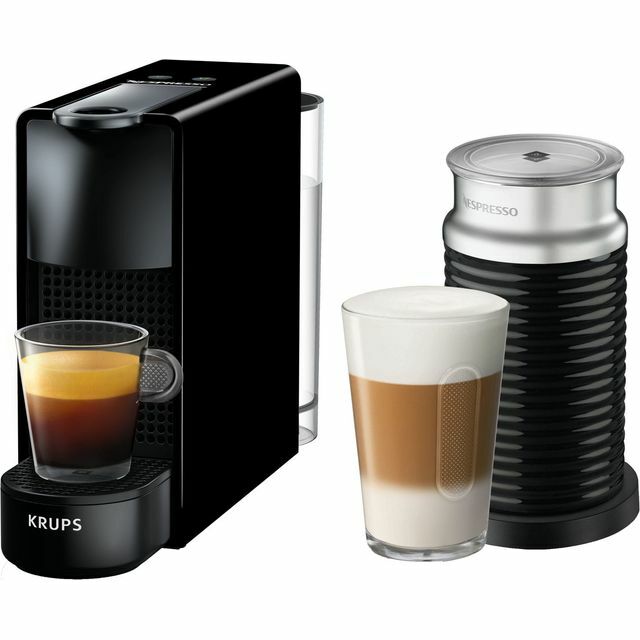 It’s compatible with the Vertuo range of Nespresso® capsules, so you can explore a variety of delicious blends. There are four drink sizes to choose from including a 40ml Espresso, 150ml Gran Lungo, 230ml Mug and 414ml Alto, so you can sip a larger coffee in the morning, or enjoy something smaller after dinner. It heats up in no time too, so you can enjoy your favourite cup in seconds. It’s effortless to use as well, as the One Touch recipes automatically adjust the extraction process based on your choice of capsule. 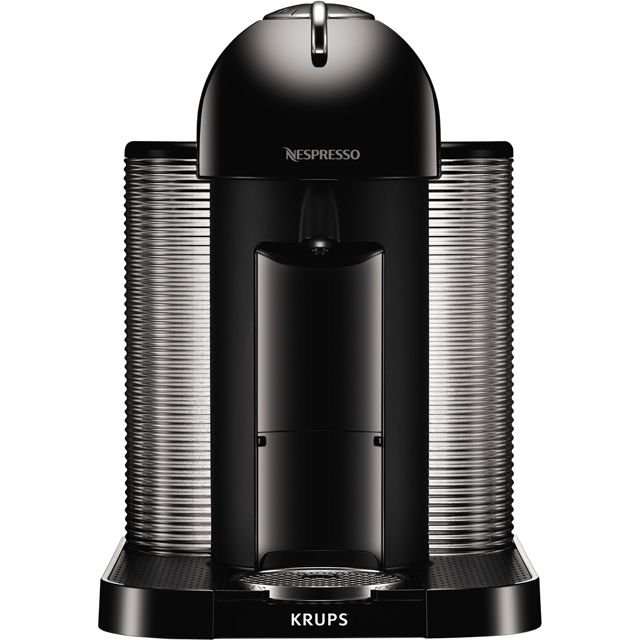 Register your machine online with the Nespresso® Club to activate your warranty and gain access to exclusive member-only perks. With pod machines, you can enjoy the perfect cup every time, without the hassle. From an Americano to espresso, and chai latte to hot chocolate, there’s a wide range of drinks to choose from. Simply pop the pod in the machine and press start. Water filters through the ground coffee in the capsule, and you just wait for it to finish pouring. Then, you can sit back and relax with a flawless, flavoursome drink. 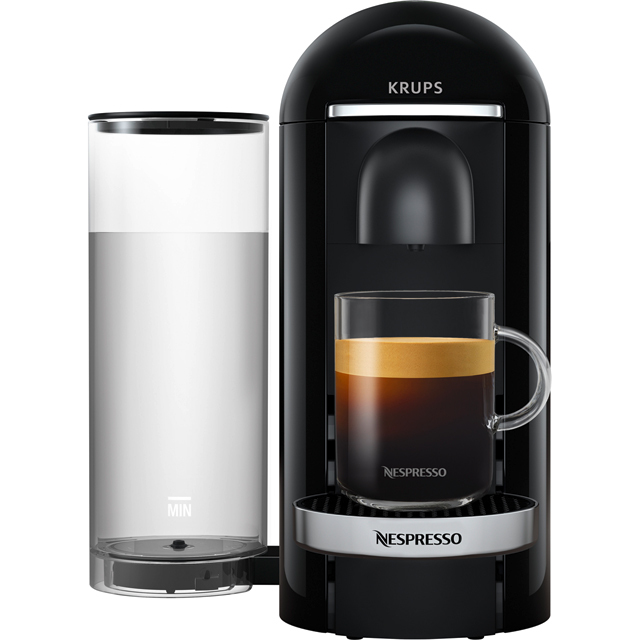 Makes nice coffee - and much cheaper than going direct to Nespresso! This Nespresso Vertuo makes the most amazing coffee. I'm lucky enough to have a Nespresso boutique nearby so can now go and sample some of the coffees. We've already gone through the samples in the delivery box! As for AO.com, their prices are amazing and the Vertuo was delivered almost before I'd ordered it. AO will be the first place I come the next time I need anything they stock. All round it was one of the best shopping experiences.